Over the last few months, the Carleton Landowners Association has been involved with bureaucrats from the city of Ottawa. Ottawa has introduced a plan to bring in a site-alteration bylaw. I was present at some of these meetings. It seems that the city has decided to identify the OLA group in the area as stakeholders, and asked us to participate in the design of the new bylaw. Now some would say that this is a good thing, so we should be happy to participate. Well not so fast! First of all by participating, we run the risk of the city using our participation as a form of endorsement of their bylaw, even if they don’t take any of our advice when they write it. But let’s look deeper and not just jump to the beat of their drum. This bylaw is directed ONLY at private property owners. The only exemptions are for the city and its agents. Can you imagine? They state that the reason for the bylaw is to protect good farmland from developers. But there is no protection of farmland from developers. 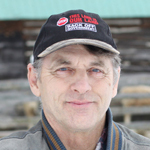 All the rules in the bylaw are aimed at the property owner, and even though they state that there is an exemption for normal farm practices, there is no protection if a neighbour makes a complaint. At that point, bylaw gets involved and anyone who has been the focus of a bylaw enforcement complaint knows well that these complaints don’t come to a common sense conclusion. Now the biggest reason to reject this initiative is because the city does not have the right to make bylaws that apply to private property. Bylaws are made by a corporation to set the rules on how that corporation runs its business. One corporation cannot make bylaws to control some other corporation. In the law a corporation only has the rights equal to that of an individual person and no individual person can make rules or bylaws that would give them control over someone else’s property. These site-alteration bylaws are driven by EXTREME environmentalists who believe private owners cannot be trusted to protect their property from developers or from destroying natural features of the land. Whether intentional or by misguided emotions, these activists actually make it easier for developers to get their way. No city has a significant wetland in the middle of it because they are all filled up as the development plans start to take shape. So how do we protect the most important land in the country which is good productive farmland? It is the rarest of all the significant natural features, and it has no real protection under the law. Now from a property rights point of view, that is the way it should be. Everyone should be able to use their property as they see fit and for their profit. However, from society’s point of view it doesn’t make sense to cover up our best food producing land that needs to be preserved to feed our kids in the future. So how do we save farmland? Some have tried buying it up and putting it in land trusts but this will never save the majority of the good land. Governments of all stripes, farmers, local food enthusiast and concerned citizens in general have struggled for years to solve this problem. I too have long wondered what we, as people can do to break the ‘addiction’ that developers have for using farmland to build houses on. A possible solution came to me as I spent hours in the tractor working this spring. What if we did what we have done to ‘smokers’, to ‘drinking and driving’ or to ‘factory farms’ with laying hens locked in small cages? What if we make developers who build on good farmland worthy of the disgust of society. Could we educate the home-buyer to demand houses be built on land that has little value as far as food production goes? What if we gave developers a rating? All the fast food chains have moved to ensure that their customers that they only buy meat from ethical producers.